… helps you replenish your reserves and build a strong bridge into 2018, Universal Year 11, a year of magic! It’s time to wield your magic wand and wave goodbye to the shed skins of this intense year. And…own your power. You did it! Clear the way for your magic to explode! We could all use some emotional recovery and potent shamanic soothing. The guides promise to bring it, and more. 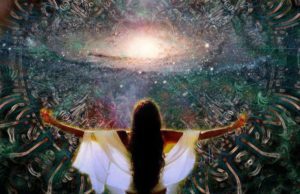 Experience the bright-light-in-the-dark Shamanic Shifts 2017! 12 in-person spaces open to Mara’s Shamanic Students and Graduates, or contact Mara for special eligibility. Attend in spirit! You’ll be included in the class container, receive class recordings and be included in our FaceBook secret group. First Class on Wedn, 11/29/17 will broadcast to our Secret FB Group Live at 7 pm! You’ll also receive the Active Student Discount for one-hour sessions. ***PREREQUISITE: shamanic training with Mara OR contact Mara for consideration!